Well Beyond Care believe wholeheartedly in giving back to the community on the local and national levels. To date, these are the charities we support, and we will be adding more as we grow. Alzheimer’s Texas works to eliminate Alzheimer’s disease through the advancement of research and to enhance care and support for individuals, their families, and caregiver through a variety of free services and programs. Alzheimer’s Texas is a Texas based, non-profit serving the community since 1982. Visit www.txalz.org or call (512) 241-0420 for more information. AustinUp is a membership organization working with businesses, non-profit organizations, and the public sector to advocate for policy that supports Austinites at every age, engage older adults in community life through social and educational programming and coordinate across sectors to address big issues for older adults and their families. 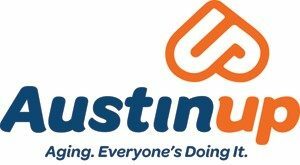 Visit austinup.org or call (512) 963-3191 for more information. Drive a Senior was founded on the premise that our senior neighbors lead happier, healthier lives when they “age in place.” We understand the difficulties of living alone at home without viable transportation when family members maybe distant or unavailable, public transportation cannot accommodate the physical needs of older adults, and taxis are too expensive. 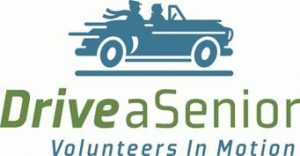 Drive a Senior matches volunteer drivers with seniors needing a way to get around. Visit driveasenior.org or call (512) 456-8262.